In this class we move through a gentle and slow meditative movement sequence called Chakra Tai Chi. It is based on traditional Tai Chi (ancient Chinese meditative movement) and has been developed by Dr. Aminah Raheem, creator of Soul Lightening Acupressure. 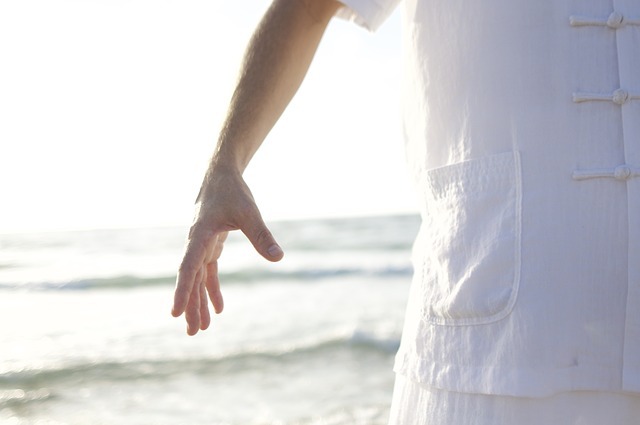 Chakra Tai Chi stimulates and aligns the energy from the base of the spine to the crown of the head. This meditation-in-movement offers you a way to achieve a deeper awareness and understanding of your own energy system and to take a more active role in your own health and healing. It is a powerful tool for self-care. Every body is welcome; no previous experience necessary. ​(Wear clothes comfy enough for standing and sitting. Bring a yoga mat if you want to or use one of the studio's). Date & Time: Fridays, 12-1pm. June 29, July 6, July 13, July 20, and July 27. Attend one session, two, or more! Cost: Drop in for a single session for $20 per person. Sign up for all 5 sessions for $85 per person. Please register below regardless of payment method. Pay online now or use cash/check/credit when you arrive. See cancellation policy below. For directions and parking info, click here. ​to learn of other upcoming events! Fee: $85 per person for all 5 sessions. To pay for more than one person for the whole series, please add item to cart and adjust quantity before you check out. If, for any reason, Shira elects to cancel a single session or the 5-session series (highly unlikely but emergencies do happen), you will receive a full refund for the single session or all 5 respectively. If you elect to withdraw from a single session or the whole series on or before June 20, 2018, you will receive a full refund, minus a $5 administrative fee. If your space in the session is filled by another participant, you will receive a full refund, minus a $5 administrative fee. The refund will be made after the session if your space in it is filled. If your space is not filled, you will be notified by email that no refund will be given. If there are exigent circumstances (i.e. sudden severe illness, death in the immediate family, etc.) you may apply for a refund, informing Shira of the circumstances. This info will be reviewed and a decision made on a case-by-case basis. You will be notified by email of the decision. If approved, you will receive a full refund less a $5 administrative fee. If you are a “no-show” for a session or the whole series (meaning you registered and paid but didn't show up and did not notify Shira), you will not receive a refund.